Subscribing to our youtube channel will give you the opportunity to learn about the most important features of SketchUp. ​​These tutorials are online and you can can watch them wherever you are and anytime you want during a period of 30 days. The first four (4) tutorials are free and available to everyone, in order to provide you with a preview of the content. Since you are satisfied you can purchase the next 8 tutorials. Purchase via pay pal platform with a credit card or call +302114112620 for details. ​Special Price 25€ + Vat. Fill in the form below and we will send you details about the method of payment. Online tutorials for SketchUp - Duration almost 80 min - English language. *Payment with credit cards is carried out through the secured platform and the conditions of PayPal. For more info about Paypal click here. *After the payment, please send us a copy of the transaction to account@ergocad.eu in order to send you the invoice and the activation codes. Info: +302114112620 . ERGOCAD company, Athens, Greece. After the payment, please send us a copy of the transaction to account@ergocad.eu in order to send you the invoice and the activation codes. Info: +302114112620 . ERGOCAD company, Athens, Greece. ​In this tutorial we have a first contact with SketchUp’s interface and get acquainted with the program’s commands, as well as with its basic tools. ​In this tutorial, we learn how we can draw lines, arcs, circles and shapes created by lines. In this tutorial we learn who we can use the Group tool, with which we can create three-dimensional objects that behave as entities and the Component tool with which we can modify many objects or parts of them all at once. ​​In this tutorial we learn about the various styles that we can apply to our model, how to import materials into 3D textures or surfaces, and commands about importing our own images into any element. Through this video we learn how we can use the tools with which we can import texts and dimensions to any object or point of the model. At the same time, we learn about the ways to calculate the area of each surface. This video shows us how to create 3D objects using the Follow me tool, first by defining a cross section (closed contour) and then the "path". In this video we will learn how to use the program’s tools to create perspective views by placing the camera each time to the desired position. At the same time, we get acquainted with specific commands in order to produce views, scenes or even entire videos with virtual tours inside or around the model. 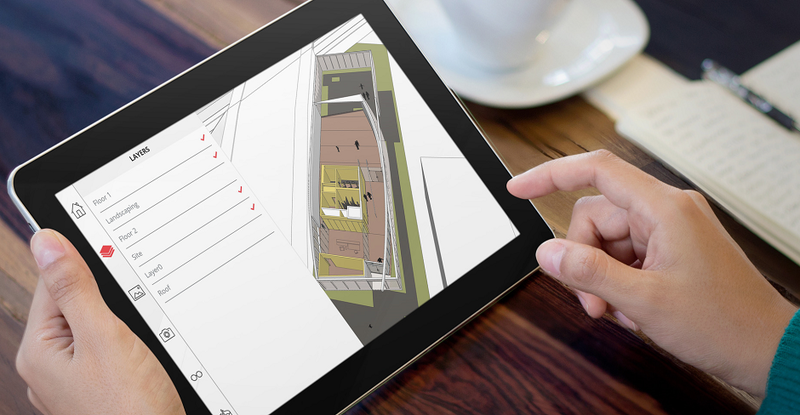 This tutorial describes the basic commands of SketchUp’s Layout Environment. Using these, we can quickly and easily create all the drawings, define our memos and import our own elements such as details, designer, owner, etc. In this 12th and last tutorial we learn how to print views of the model created through Layout, as well as commands with which we can export these views to dwg (AutoCad, Bim2Cad, etc. ), jpg, pdf, in order to complete our studies. ERGOCAD© 2019. 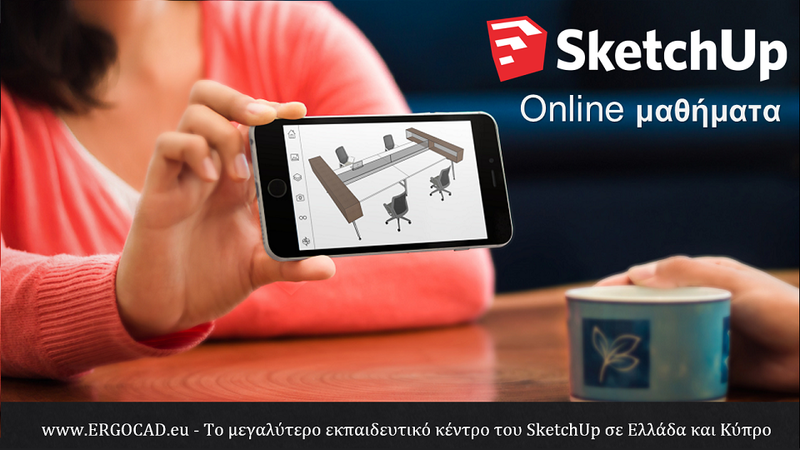 ERGOCAD is the official reseller of SketchUp in Greece & Cyprus. All rights reserved. 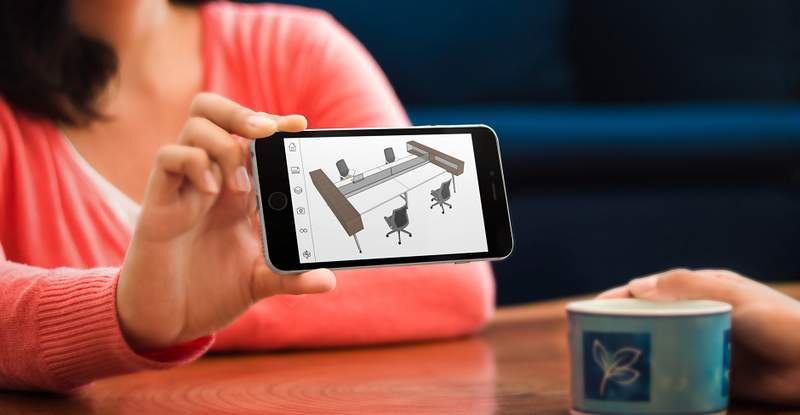 SketchUp® and 3D WarehouseTM are registered trademarks of Trimble Navigation, Ltd.